This shirt would traditionally be made of raw Indian silk. Ours is made of unbleached cotton for sturdiness and cost saving. 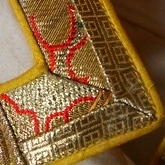 The collar is polyester brocade. 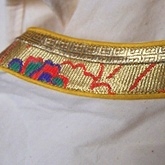 The buttons are handmade brass with an flower imprint. 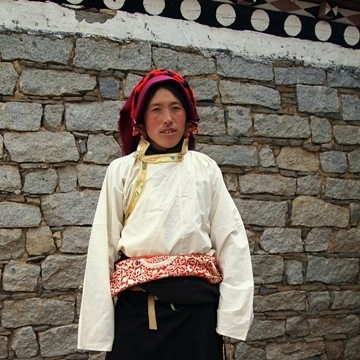 This is the classic Tibetan shirt.